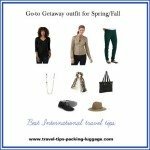 What should we look for in a travel skirt? 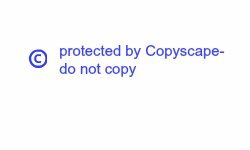 There are situations and cultures were a travel skirt or dress seems more appropriate and so I always take one plus a sarong. Also, when you go out for the evening it looks dressier. Sometimes I want to go out dancing. I definitely wanted to find some that I would wear more than once. I take skirts with me on my trips, but some of them never got used more than once on a two week vacation. That is just not enough wear to justify the space in the suitcase, so think about your planned activities. On other trips I wear a skirt many times, and I am glad that I packed one or two. I love skirts but I need to wear my walking shoes most of the time, so I get more wear out of slacks on most trips. I have sandals and sliders for those times when I really want to look nice and wear a dress or a skirt. Maxi or midi will work with a flat shoe also. So, What do we look for in a travel skirt? Here is what I came up with. 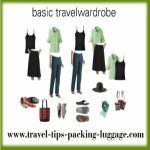 Hope it helps you when choosing your travel clothes. The best skirts that I have are wrinkle resistant, who needs to spend time ironing when on holiday or a business trip. There are certainly better things to do with your precious vacation time. Even crinkle cotton works. Some good fabrics would be cotton knit, rayon, polyester, twill, viscose and my favorite is wool crepe. If you don‘t mind the wrinkled look linen is very cool and comfortable. It is really nice if you can find one that is reversible, one feels like two doubling the ways you can wear it. Make sure it is washable and dries quickly, overnight if possible. 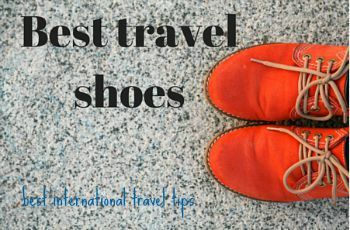 Select neutral colors, as they will go with everything else in your travel wardrobe and don’t show stains easily. Find one in a lightweight material so it doesn’t take up much space in the suitcase and choose a fabric that will be cool and breathable. The A-line suits most figure types and panels are slimming. The straight skirt is more cumbersome when jumping on and off trains and buses or dancing. Long or knee length is best as short mini skirts are less comfortable, attract attention, are not acceptable in some countries and are disrespectful when visiting churches. A separate garment is better than a dress because it can be worn more ways and you can dress it up for an evening out. It can even look like a dress if you wear it with a matching top. If you like you can easily make your own travel skirt as it is very simple to sew one. There are lots of simple patterns to purchase or you could even make your own pattern. If you are not interested in sewing a skirt places like Travel Smith have great looking skirts for travel.